Dr. F. Stoner Clark has served in pastoral ministry for over forty years having ministered in independent, non-affiliated parishes as well as appointments under ordination within the United Methodist Church and the International Church of the Foursquare Gospel. He holds degrees from the University of Maryland, Christian Theological Seminary and Ashland Theological Seminary. 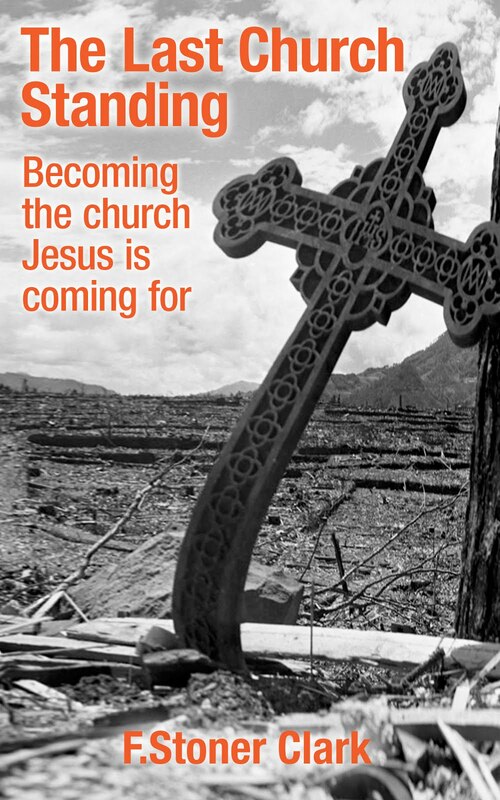 Dr. Clark has authored two books—The Last Church Standing: Becoming the Church Jesus is Coming for and Searching for a Christian Response to Prepping (available on Kindle only). His work experience also includes teaching in the public and parochial school systems, District Representative in the Indiana Division of the American Cancer Society and serving in the United States Marine Corps being discharged as a Captain following his tour of duty in Vietnam. Dr. Clark has been married to his wife Patricia—author of multiple books—for over 51 years and is currently living in the Finger Lakes region of Western New York State. The ultimate purpose of the church in this world is to become the spiritual milieu in which followers of Jesus are nurtured into the full stature life of Christ. The overflow of this activity is making God and his kingdom attractive to a lost and dying world. Even a cursory analysis reflects that neither of these truths is descriptive of the church in America today. Multiple studies and polls reveal that the attitudes, beliefs and behaviors of confessing Christians are barely distinguishable from those of persons in the world. For example, almost the same percent of Christians approve of abortion, homosexuality and the various aspects of transgenderism as is found among the general populace. The ejection of God from most all aspects of American culture and society is pandemic. Whereas the founding fathers acknowledged the Bible as foundational to America’s shaping jurisprudence, efforts abound today to eradicate nearly every vestige of biblical reference from public life. By any legitimate measure, the church is utterly failing in its biblical mandate to bring believers into the transformational life in Christ toward the end of seeing them conformed to his image. Consequently, the church has become savorless salt in a morally, ethically and spiritually rotting world. Rather than making Christ attractive to the lost, the church instead has invited its contempt for its shallowness, irrelevance and hypocrisy. 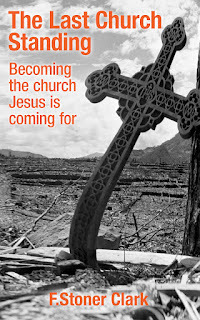 The Last Church Standing: Becoming the Church Jesus is Coming for, attempts to forthrightly examine the spiritual condition of the church in light of biblical, historical and theological precedents in hopes of awakening, enlightening and energizing the presently disenfranchised priesthood of believers. In order for this to happen, it will be necessary for believers to become “Berean –like” in their pursuit of truth. They will have to begin questioning many accepted teachings and church doctrines and weighing them against biblical reality. It is not the author’s argument or assumption that churches are intentionally misleading their flocks, but rather that they are failing to declare unto them the fullness of the gospel. For example, allowing believers to adopt an understanding of salvation as gaining heaven and avoiding hell rather than perceiving it as coming into completion in Christ is—to put it in the language of Paul--tantamount to declaring another gospel (Gal 1:6) When the church propagates the unbiblical doctrine of a laity/clergy dichotomy, it disenfranchises believers from their biblical mandates and Holy Spirit inspired and empowered ministries. When the church portrays biblical concepts such as pastor, deacon, elder, bishop, etc. as positions and titles rather than as motivations and ministries, it falsely creates a hierarchical hegemony and church polity that results in discriminatory separation of believers one from another. The Last Church Standing is an effort to see the church through the biblical prism of its Focus, Function and Form in order to accurately capture God’s eternal purpose for it. The church’s focus is its vision or revelation of what it understands to be God’s eternal purpose and intent for man. It seeks to answer the question of what this grand experiment is all about. 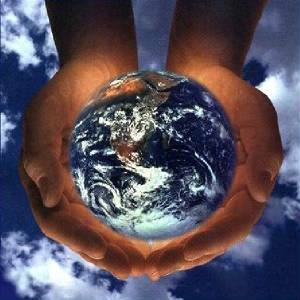 What is God’s ultimate intention regarding man? The church’s function has to do with how the church conduct’s itself in light of God’s ultimate purpose. Do the day to day activities, workings and conduct of the church reflect its commitment to God’s eternal purpose? The church’s form has to do with the structure the church adopts enabling its proper functioning toward fulfilling God’s ultimate intention. For the church to fully participate in the coming of God’s Kingdom on earth as it is in heaven, it will have to throw off its institutional restraints and rediscover its biblical roots. The church Jesus is coming for won’t be defined by denominational distinctions but by the manifestations of his very life. Can Christians seriously engage in prepping without violating their biblical faith and conscience? 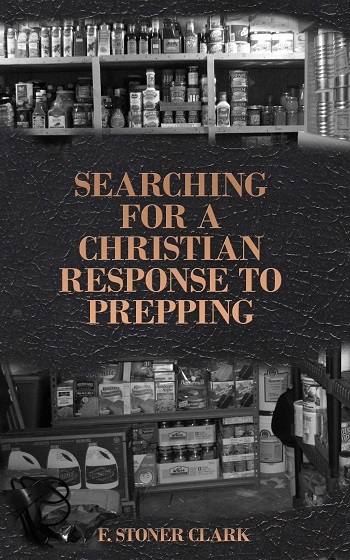 How does the Bible mandate Christians to address prepping issues? Over the past several years prepping, along with all its corollary offshoots, has grown into a multi-billion dollar conglomerate of industries. There has been an enormous increase of interest within the general population in matters having to do with apocalyptic and cataclysmic events related to “last days” scenarios. Hollywood is rife with catastrophe-themed offerings overwhelmingly embraced at the box office. Within the Christian community particularly, there has been a resurgence of interest in prophecy and writings having to do with the last days. The end time series, Left Behind—a series of 16 bestselling books and four films—has sold millions of copies and utterly sold out at the box office, all of which attests to the incredible interest in apocalyptic events. 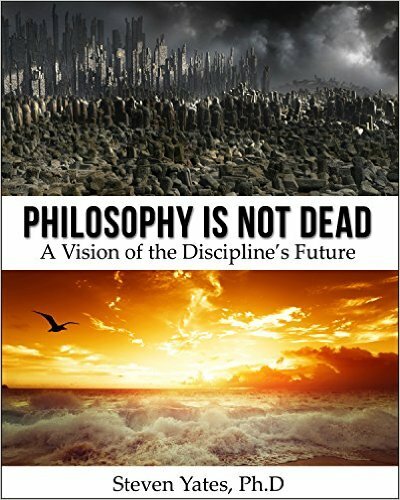 Although a significant number of Christians believe in a last days pre-tribulation rapture—a dubious theory lacking biblical support and originating from one woman’s vision in the 19th century—there still remains palpable interest within the Christian community in preparing for potentially difficult times in the near future. Although the word “rapture” doesn’t appear a single time in the Bible, some form of the word “prepare” occurs at least 46 times in the New Testament alone. Additionally, the word “ready” is used numerous times in the N.T. in the context of the Lord’s second coming. In anticipation of the Lord’s first coming, a significant ministry—John the Baptist—was launched with the specific purpose to “make ready a people prepared for the Lord.” Probably one of the greatest biblical examples of preparing for difficult times is the Old Testament story of Joseph in Egypt. All of the biblical focus on preparation notwithstanding, there remains a great deal of reticence and false guilt among much of the Christian community regarding the concept of “prepping.” This book is an effort to realistically examine prepping from a truly Christian perspective. It sorts through many aspects of the subject seeing it through an analytical prism that reflects the biblical, theological and historical understandings of prepping. In doing so both spiritual and temporal prepping are thoroughly examined. The volatile concept of “hoarding” is addressed with harmful myths being shattered. The whole idea of self-protection including the place of firearms in the Christian’s life is deeply reviewed. The place and necessity of community life is researched as well. The goal of this work is to help believers come to a faithful and biblical understanding and response to the realities being confronted in these last days as they anticipate Christ’s second coming. Is realistic preparation a faithful or even a mandated response given the multiple challenges and potential dangers facing our world today?